Italian native Massimo Capra began his culinary career in a famous trattoria near Venice before turning his talents to the hotel industry in northern Italy. In 1982, he relocated to Toronto, Canada, where he began working at a restaurant owned by a family member. From there, he became an acclaimed chef at Prego della Piazza restaurant, where he remained for nine years. 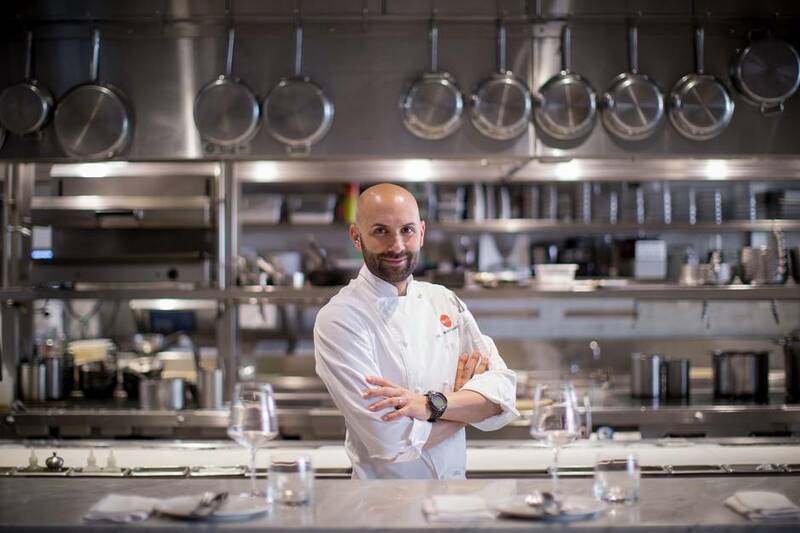 His next venture occurred in 1997, when joined forces with Paolo Paolini to open Mistura Restaurant of Toronto, offering upscale Italian dining. Sopra Upper Lounge, an exclusive event venue located above Mistura, opened in 2006. 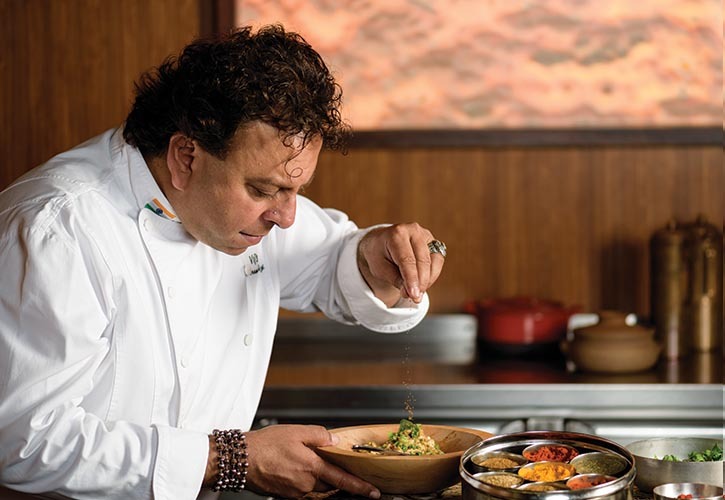 Chef Massimo’s culinary empire continued to expand in 2010, when he licensed his name to the famous Rainbow Room at the Crowne Plaza Hotel on the Canadian side of Niagara Falls. More recently, he became chef/brand owner of Boccone Trattoria Veloce and Boccone Pronto at Pearson airport in Toronto and of Soprafino Restaurant at Hamad International Airport in Doha, Qatar. And last year, he opened Capra’s Kitchen—a casual Italian eatery with a heavy emphasis on pasta, pizza, and antipasto—in his hometown of Mississauga, Ontario. 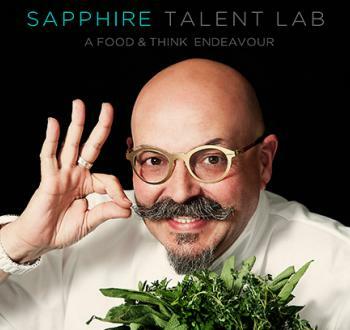 Sapphire Talent Lab, Sea Courses and Paul Gauguin invite you to embark on a culinary voyage with Chef Vikram Vij! We are proud to offer you a culinary inspired journey of a lifetime! February 18th – 25th, 2017 onboard the m/s Paul Gauguin Cruise Ship. Beauty surrounds you on this 7-night sojourn, both on land and underwater. The Society Islands beckon with lush rainforests, crystal-clear lagoons, and warm breezes that encourage nothing but indulgent beachside lounging. Continue on to the Tuamotu Archipelago, a collection of low-lying atolls known the world ‘round for their vibrant underwater ecosystem. This extraordinary Christmas themed event has been a tradition for the past 27 years at Fairmont Jasper Park Lodge. With a variety of talented presenters, decadent meals, themed activities and special sessions to attend, this event our most anticipated of the year. Celebrate all the things the holidays should be: great food, wine, entertainment and seasonal inspiration through fun and interactive classes. 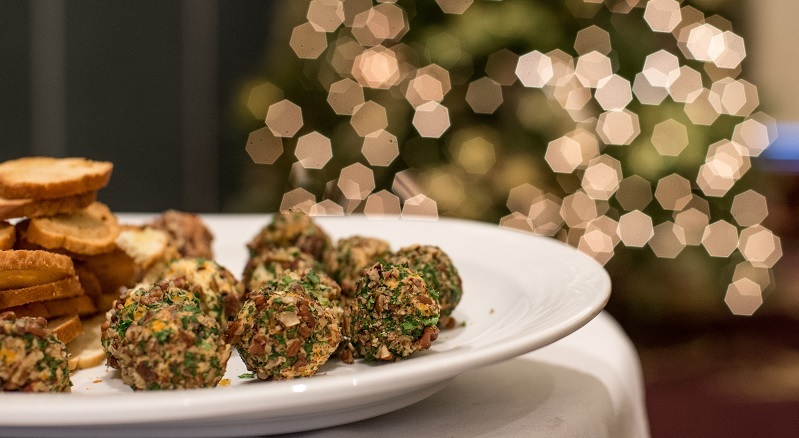 Cook with celebrity chefs Vikram Vij, Mark McEwan and more; learn the art of Christmas crafts and holiday decorating with industry experts; take home tips from a mixology class and sample wines from around the world. For the first year we’re pleased to announce that all of our presenters will be in attendance throughout the 2016 Christmas In November. Time to pull out your silliest Christmas sweaters and wear them with pride! This year, the welcome reception is all about basking in the hideous warmth of your silliest Christmas knitwear. Prizes will be awarded to the Silliest Christmas Sweater we can find! For one hundred years, Fairmont Jasper Park Lodge has upheld a reputation of rustic excellence. Sapphire Talent Lab is thrilled to be a part of this wonderful, festive event. The Fall Flavours Festival, a month long culinary celebration highlighting authentic Island tastes and traditions, takes place during September in communities across Prince Edward Island. 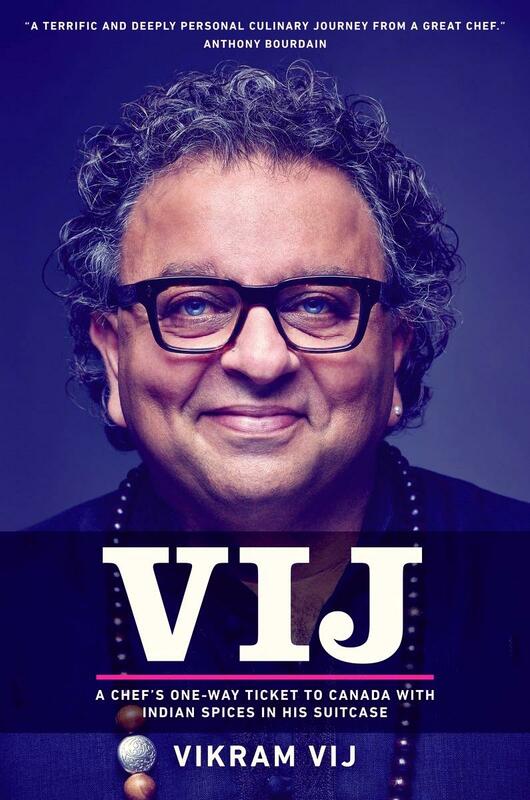 The Festival features a variety of acclaimed guest chefs hosting a wide range of unique culinary experiences including events featuring Chef Vikram Vij and Chef Mark McEwan. Our Signature Events feature the very best PEI has to offer and have been created exclusively for Fall Flavours. Some are small and intimate, others will draw a crowd … all will delight. You can join local hosts and pick potatoes, catch lobsters, harvest oysters or head off to Culinary Boot Camp. These are just a few samples of the many Hands on Experiences/Participatory Events that let you enjoy food from the source. Each experience offers an educational component with a local host, as well as a tasting and/or cooking opportunity. There’s a wide range of Culinary Events from which to choose. A feast of bar clams on the beach? Perhaps a brewmasters dinner with PEI produced handcrafted beers? And those are just for starters. 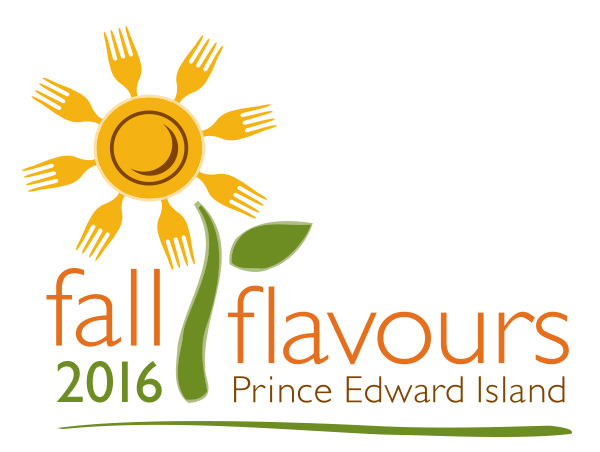 Visit local Fall Flavours Festival restaurants which offer Island Cuisine showcasing the best of land and sea. From his early years as Canada’s youngest ever, executive chef at Toronto’s upscale Sutton Place Hotel to his latest endeavor Fabbrica, Chef Mark McEwan is never content to rest on his laurels. Using food as the ultimate palate for his boundless creativity and energy,Mark has led Toronto’s restaurant scene with North 44, Bymark, and ONE. He has taken another turn with his newest restaurant Fabbrica, where he has captivated customers with a rustic Italian cuisine in a warm, yet contemporary setting. In early 2009, Mark hit the grocery retailer scene when he openedMcEwan’s. Always attentive to the changing needs of the consumer, he created this jewel box of a grocery store that caters to foodies and chefs alike. Adding to his long list of talents, Mark is the author of the cookbooks, Great Food At Home and Fabbrica. He is also a television personality, hosting his own show The Heat on The Food Network and is the head judge on Top Chef Canada. His high quality cookware line by Fresco is sold nationally across Canada. 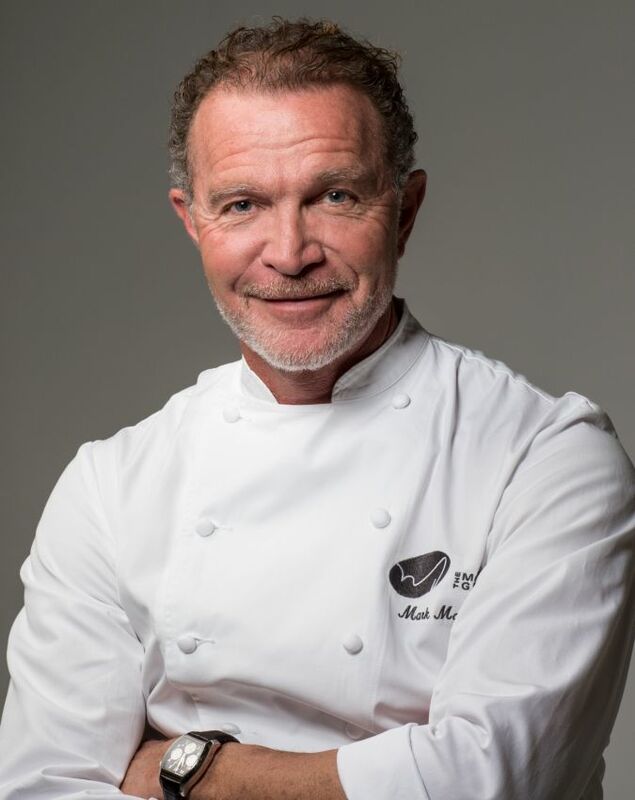 Canadian Chef Mark McEwan recently left the audience at the CNE this past Saturday August 27 inspired to go to their own kitchens to create innovative and out-of-the-box dishes of their own! While work has pulled him away from the court, Mr. Gentile’s familiarity with the sport means he knows what tennis fans want when it comes to throwing a viewing party. It’s still finger food, though not the traditional tea or Wimbledon classic strawberries and cream. Chef Gentile doesn’t believe in serving sandwiches. He designed a menu that’s fun and summery and, best of all, offers food that can be held in one hand. And it complements the game, not overpowers it. “Tennis lends itself to a fun party,” says Mr. Gentile. “When you have a bunch of people over and you’re entertaining, you want to have good, substantial food.” He also had mingling in mind. The menu consists of Nodini, Buca’s bread knots tossed with garlic, rosemary and olive oil; Olive Ascolane, crisp olives stuffed with tuna and anchovy; Insalata d’Arancia, navel orange and red grapefruit salad with Taggiasche olives and barrel-aged vinegar; and Torta Cioccolatino, a gluten-free chocolate tart with cardamom and espresso cocoa powder (be careful if you’re wearing white). He also developed the menu for the time-strapped home cook. Nothing in the menu takes longer than 30 minutes to an hour to make, and some dishes can be made the day before, like the salad and tart. Best of all, the food can be served buffet-style and held in one hand. Whatever you do, the important thing is to ensure that everyone has good food, good drinks and a good view of the game. As for Chef Gentile, he’s still a busy man, but he hopes to catch a game or two at the Rogers Cup. No word on whether he’s going bring his own picnic basket or buy snacks. Learn How to Eat Local This Saturday – for Free! 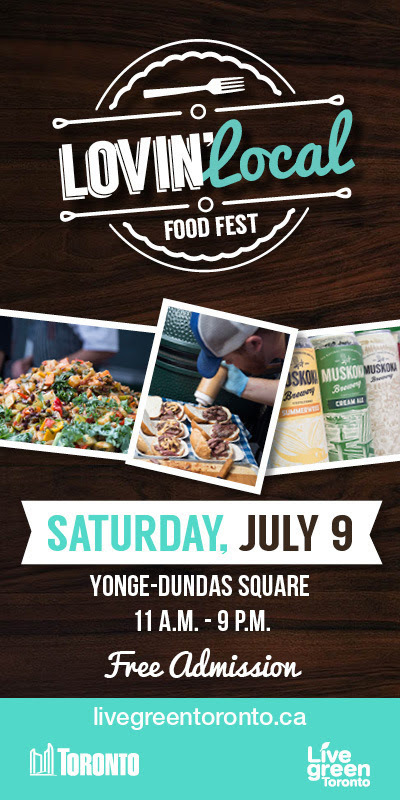 Sip taste and savour the creations of some of Toronto’s best chefs at Lovin’ Local Foodfest 2016, including feature chef Mike Ward, restaurants, food trucks, breweries and wineries; catch local musicians, artists and performers on the main stage, and shop till you drop at the green street market! It doesn’t get any better than this, Toronto! For more information visit the event website. Look forward to seeing you there!